1921 Port of Queenborough Development Co. Ltd.
1923 Great Eastern Train Ferries Ltd.
2 x 3cyl. steam engines, 18", 29", 47" x 27", twin screws, 410NHP. 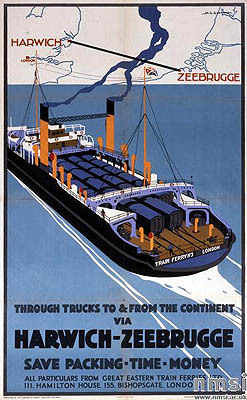 Built for the War Office service between Richborough and French ports, taken over by the Port of Queenborough Development Company and then by Great Eastern Train Ferries Ltd., which relocated the service to run between Harwich and Zeebrugge (and briefly to Calais). The service was taken over by the LNER in 1934. 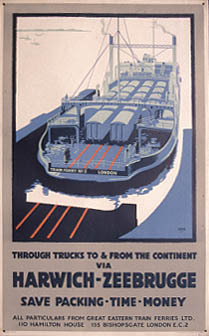 Requisitioned in September 1939 to carry military cargo to and from Calais, and in June 1940 assisted in the evacuations from Jersey and Guernsey to Southampton. Taken over by the Admiralty in September 1940 and converted to a landing ship and commissioned in June 1941 as HMS DAFFODIL. She first acted as a Barrage Balloon vessel protecting the convoy assembly anchorage in Loch Ewe, and from October 1941 in moving landing craft around the U.K. 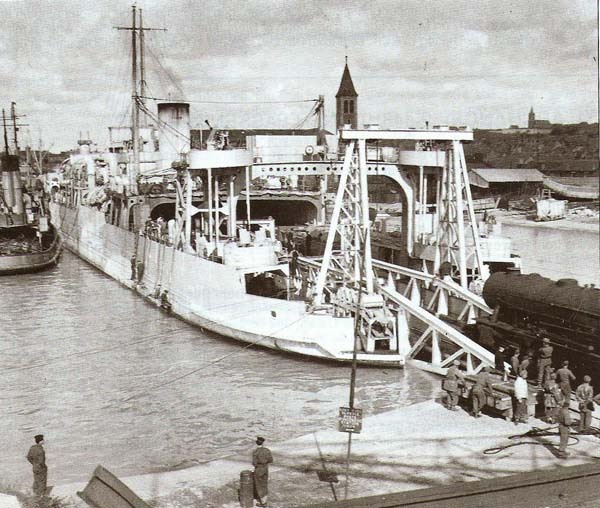 In May 1944 she was fitted with a ramp to permit the landing of railway equipment where no shore facilities existed, crossing to Cherbourg and then from September in regular service to Dieppe. Damaged by a mine off Dieppe on 17 March 1945 and sank the next day.